This franchise allows franchisees to own a retail travel agency that’s connected to their community – backed by one of the largest travel brand in the world. As a full service travel agency specializing in cruises, each franchise can offer customers group franchise prices AND the personal service and advice that people expect from a locally owned business. Today’s travelers are overwhelmed with information online and as a result, there has been an increasing demand for travel agent expertise, especially for complex vacation bookings like cruises. Franchisees will support a large team of Vacation Consultants who will not only sell travel, but navigate spectacular vacation experiences for their customers. This franchise is owned by one of the largest travel companies in the world. Franchise Owners can earn additional revenue by selling non-cruise product including hotels, tours, car rentals and packaged vacations, both in store or through their local website. Note. Serious investors only please. The business will not respond to general inquires, students or brokers. Please pay careful attention to the financial requirement of a required minimum net worth of $300K with $100K liquid. Must be a US Citizen. This sale is confidential. The information contained in this ad does not constitute an offer to sell or award a franchise and may not reflect the most current facts. Such an offer can only be made in compliance with applicable disclosure laws. Offerings are made by Franchise Disclosure Document only. Relevant information for business purchase will be provided by the Franchisor and Seller. Affordable Business Concepts, LLC does not make any guarantees or declarations regarding earnings. Before buying any business always consult your accountant, franchise attorney and/or financial advisors. For more information visit www.affordablebusinessconcepts.com . Franchisees operate in a brick and mortar travel agency business typically 800-1200 square feet in strip malls or other retail space locations. They support 6 to 8 consultant desks. Location is critical to business success and walk-in traffic is important. More consultants can be added working from their home offices. This franchise is part of a larger travel company with $71B in buying power globally! It has a very strong Brand Name. The Industry is booming and you can earn revenue from multiple revenue streams in addition to crusie ship travel. Lots of opportunity for growth with this franchise. Cuuise lines are investing billions of dlllars with 97 new curise ships set to debut between now and 2026. That's additional capacity for 9.6 million travelers. The demand for curising has increased 60% in the last 10 year. For more than two decades, sales have grown at an averate rate of 11% each year, outstripping the industry 3 to 1. We can help you obtain an SBA Pre-Qualification in 24 hours or refer you to franchise friendly lenders. We can also help you use 401K funds to invest in your own business without penalties. Initial training takes several months done concurrently with store build-out. 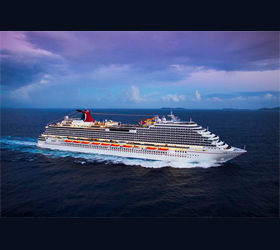 You will attend a 5 day cruise management center training class at HQ. Two dedicated start-up managers coach you through center build-out and training. Superior ongoing and systems support provided. Sales leadership support is also provided. This ad is for a franchise looking for a new quality franchisee in your area. It is not a resale of an existing business. Contact ABC to check for current pricing and availability. Affordable Business Concepts, LLC does not make any guarantees or declarations regarding earnings. The information contained in this ad does not constitute an offer to sell or award a franchise and may not reflect the most current facts. Such an offer can only be made in compliance with applicable disclosure laws. Offerings are made by Franchise Disclosure Document only.